Since I am always looking for new quotes to add to my various collections, I peek in on others from time to time to see what quotes they list as their “favorites,” or “most inspirational” or the like. “The whole secret of the study of nature lies in learning how to use one’s eyes.” – George Sand. This thought resonates with me especially as a photographer that is interested in color and the play of light. For example, I often notice things while hiking with others that they either overlook or don’t really care to notice. 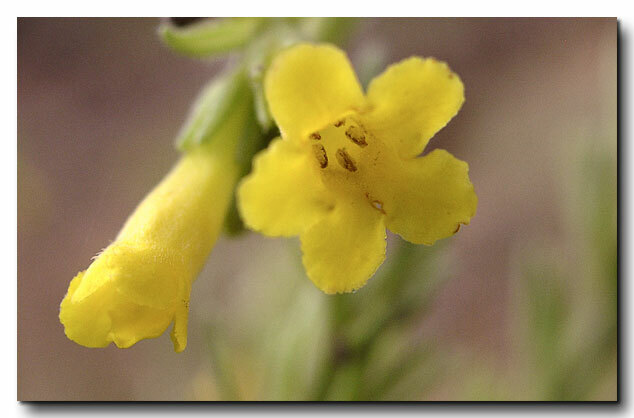 On Sunday I spotted the first wildflowers of the season, and posted a couple of them images of them on the Photo Blog. This was the second one that I saw, clinging to a rock wall in a crack that had filled with enough soil for it to survive. It was a bright spot of color in a rather monochromatic landscape. I’ve trained my eye to constantly be searching out the light and the “different.” With that training, the quote appeals to me. After finding those words, I set out to authenticate them, first looking up the author, George Sand. Imagine my surprise when I found out that George was a woman, writing under her “most famous” pseudonym. Her real name is Amandine-Aurore-Lucile Dupin, later to be known as baronne Dudevant. She was a French novelist who lived in the 1800’s and is said to be a pioneer of feminism. At this stage I’ve got the biographical information down and it’s time to go on looking for a source, preferable an original source. I really don’t like to put down “quoted in….” but sometimes that’s all you can find in a reasonable amount of time. I’m not getting paid for this, so I only want to devote so much time to the hunt. Generally I search a quote in Google Books, for if you do a web search all you are going to find is the same quote listed again and again. In Books, you at least have a shot at finding some kind of source data. Sometimes I’ll also look in Wikiquote if the author does not seem too obscure. Frequently what happens at this stage of the search is you might find something like the following: “In 1869, George Sand wrote, “The whole secret of the study of nature lies in learning how to use one’s eyes.”” Of course there is no footnote, or if there is one, it’s not included in the “preview” of the book in question. I doubt that the writer knew that George was a woman. At this point I have a strong hint that the quote is probably accurate, since the date detail will probably mean that the original document can be found with more searching. As I looked through list of books in the Google Books search the following title caught my eye: Capturing the French River, Images along One of Canada’s most…. Why was this of particular interest, because our author is French and perhaps she wrote about traveling in Canada. Hope for a quick solution was dashed when I saw that the quote was embedded in the book as a sub heading for a chapter. It did however, provide another clue for the search. This time the cite was expanded to George Sand, Nouvelles Lettres d’un Voyageur, 1869. It was now time to apply some more advanced searching tricks. The first step was to Google “Nouvelles Lettres d’un Voyageur” and see what happens. Success, for the very first entry is a free kindle book that is published and digitized and proofread by Project Gutenberg. In case you did not know, Project Gutenberg has over 100,000 free ebooks that can be downloaded through the site or its affiliates and partners. I smiled a big smile at this point, and proceeded to follow the link. I didn’t really want to download the book so I selected the HTML version and it opened with the complete text, with only one problem, it was in French. I don’t read or speak French. Actually, Google thought ahead for you and me and immediately switched the page to an English translation of the book. I decided to go ahead and use another search trick, the Control F combination which brings up a search window for the current document or web page. I typed in the word nature and was presented with 131 highlighted entries to search through. One hundred and thirty one is just too many individual entries to look up. In order to narrow the search I decided to try the phrase “study of nature” and figured that I’d go right to the quote. The only problem is that the computer dinged out a series of error beeps letting me know that it had come up EMPTY! At this point I’m beginning to get concerned. I’ve seen this kind of thing quite a few times, especially in working with original Latin works of Plato or Cicero. The English version of the quote often has no relationship to the translation in the text before me. I went back to the quote: “The whole secret of the study of nature lies in learning how to use one’s eyes. I decided to try and use a different approach, using the copy / paste function along with Google Translate. I put in the English and asked it to translate into French. It presented me with the following: Tout le secret de l’étude de la nature est d’apprendre comment utiliser les yeux. I decided to work with the first three words Tout le secret and put that combination into the search window back in the French version of the document. Apprendre à voir, voilà tout le secret des études naturelles. Switching to the English translation it read: Learn to see, that’s the whole secret of natural studies. At this point I got excited, (ok maybe I don’t get out enough) for it seems that I had found a great quote that has been slopped around in English for quite some time and has lost some of it’s original meaning. I’m not sure what is more accurate, Learn to see, or Learning to see. If anyone has thoughts on the topic, I’d love to hear them. All in all, I was quite astounded by what I was able to accomplish from the safety of my living room. I found a quote, looked up the author’s autobiographical information, searched Google Books until I found the source of the quote, ended up at the Gutenberg Project and was able to open the original 1869 document in French, work with Google Translate to find a specific phrase only to find that what so many have pasted on their web pages, is at the end of the day, a sloppy rendering of the original thought. The internet really can make us dumber, or smarter. It’s all in how you work with the tools. Now go out, get on your hands and knees and look at the world with the eyes of a child, or maybe even an ant. You might be surprised at the aliens you might find in your own back yard. Ok, I know it’s a bit late for putting out trail information that is of use to someone, but sometimes I’m just not in the mood to write after I climb the mountain and then go knock off a half a mile of kick-boarding in the pool in order to stretch out afterwards. So I’m posting too late to be of any use to anyone, but I can promise that I’ll try and post a more recent update on the trail after I climb it tomorrow. I confess however, that I did figure that the conditions would only improve over the week and by this weekend, most if not all of the snow would be gone or reduced to a few corners of the switchbacks. Last week however, was a little different story, since on Tuesday we got rain and snow in the area. I think that the snow line was somewhere about 9,000 feet or better, because by Saturday, that’s were I found the first traces of snow. I actually figured that so much snow would have melted that I did not take my slip-on ice spikes, but I did have my good carbide tipped hiking poles which ended up being most helpful. The weather at the start was glorious and I hiked in shorts and a t-shirt until the trail entered the shadows of the mountain at the metal sign. At that point it appeared that there was about 1 to 2 inches of fresh snow, and it was actually a bit tacky and not frozen over like I would have suspected. I’ve added a full sized image here in case you’d like more life sized look at the trail in one of my favorite sections. Even using a wide angle lens I ended up stitching two images together in order to complete what you really see in this section of the trail. This section of the trail comes out at the edge of a boulder field and this marked my first attempt and success of the season of cutting the switchbacks and heading straight up the boulders. This image looks a bit up and to the south. 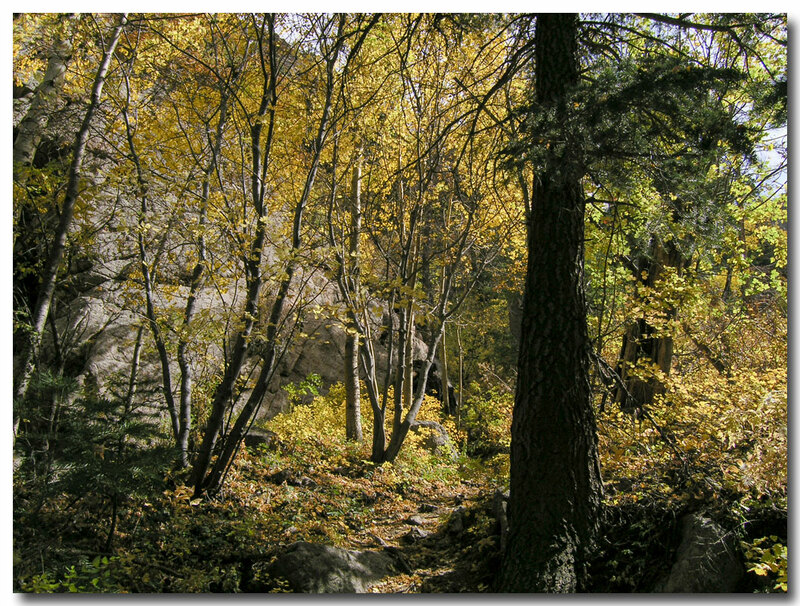 I put together another panorama of the boulder field here, which shows the trail at the very right edge of the image. The trail crosses the field about 4 or 5 times before you get to the edge of the boulders. It turns out that generally it takes me about as long to go straight up as it does to do the switchbacks, but I don’t like those switchbacks. I finished in just under 4 hours, which means that in order to get back to my best times of the season, I’ve got to drop 50 minutes from the climb, and that’s in the season when the flowers return. There is really only one way to do this, and that means getting back to the gym on a regular basis, or getting out early and hiking instead of going to the gym. Either way, the weekend warrior thing just is not enough to really get one into shape. Although the upper reaches of the trail probably picked up another 6 inches of snow, someone had packed it down with snow shoes and it made a great covering over the ice that had to still be about 1 – 2 inches thick in places. I’m not quite sure what possesses people to try and climb in March and April in tennis shoes, but just like the last time I climbed, there were two people on the trail slipping and sliding away in their tennies. It’s an alpine environment folks, prepare for it. Two weeks ago I hoofed on over to the three gun trail because I wanted to hike, but I also wanted nothing to do with snow. 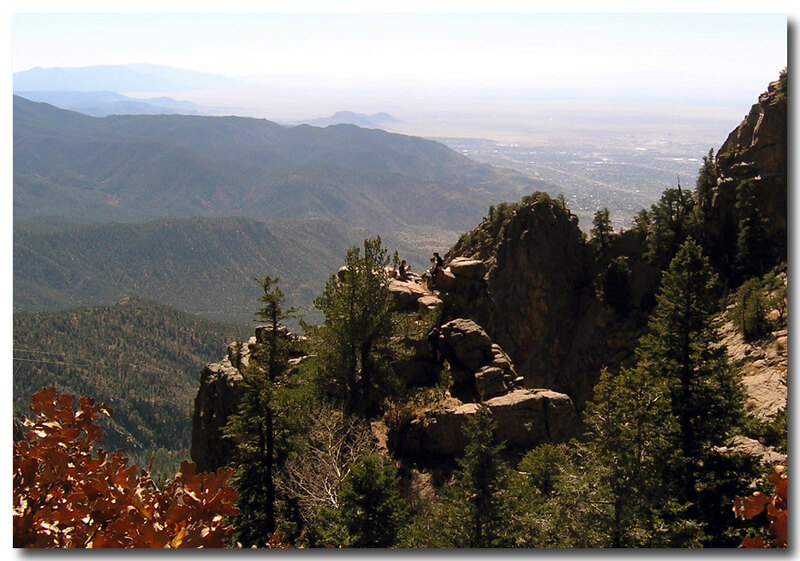 After a most brutal New Years Day hike up the La Luz, I pretty much swore off the mountain until the snow was gone. There is good news and bad news in this report, for although I can report that for the most part, most of the snow is gone, and that which remains, is pretty passable; I must also add that the light snow-pack is not good news for our mountain. During my time in the snow I never did get annoyed, I needed minimal gear, and all in all, for my first hike of the “season” I made it up to the tram in just 4 hours. Seeing how my best time ever is three hours, I’ll add half an hour for being out of shape, and half an hour for dealing with the snow, and there you have it. 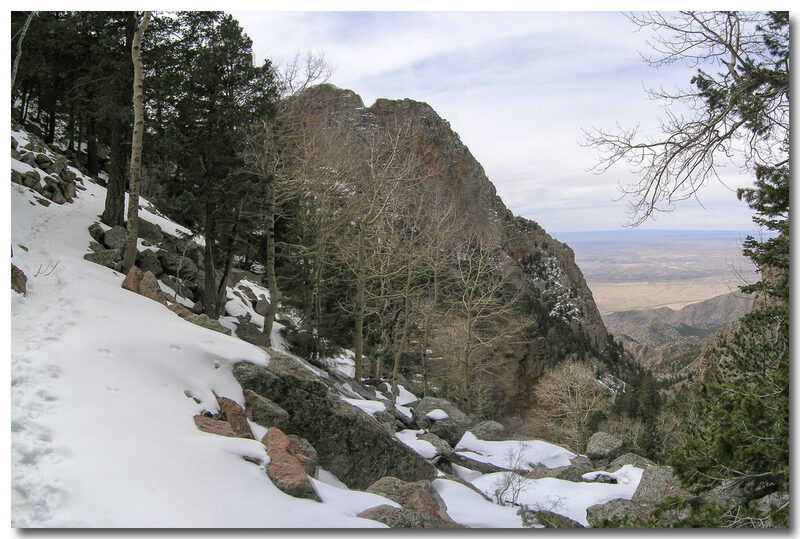 The forecast claimed that temps today would reach 75 degrees and I had a mental toss-up going on, Ski in Santa Fe, or hike in Albuquerque. Hiking won, primarily because I thought that the high temps would ruin the snow in Santa Fe. Judging from some of the slush and pools of water on the high trail, it was probably the right decision. I don’t like to ski in snow that is so sticky that it feels like Elmer’s glue. High clouds dominated the day, and I doubt that the mid 70’s were ever reached, but nonetheless, it was a great day for a hike. I waited for it to warm up and did not get started till 10:45, primarily because the day just was not heating up the way I was hoping. The trail conditions were great, and I finally ran into my first snow about 7,400 feet, but only in the shade, and quite frankly, very very little of it. Every other year that I’ve hiked in early March I’ve had to put on my spikes somewhere around 7,400 feet, and the snow just got deeper and deeper from there. 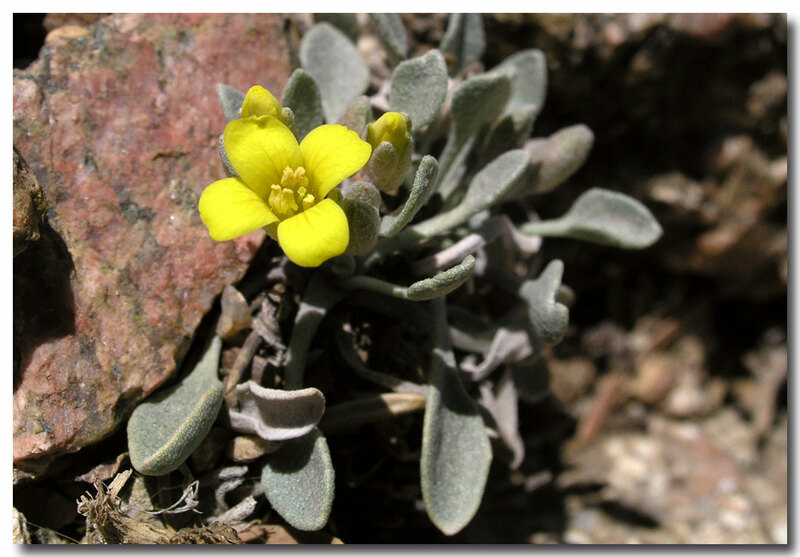 With so little to report, this first image was taken at the LaQueva overlook, at 9,000 feet. Looking east you can see the snow covered switchbacks that snake through the rock slides. 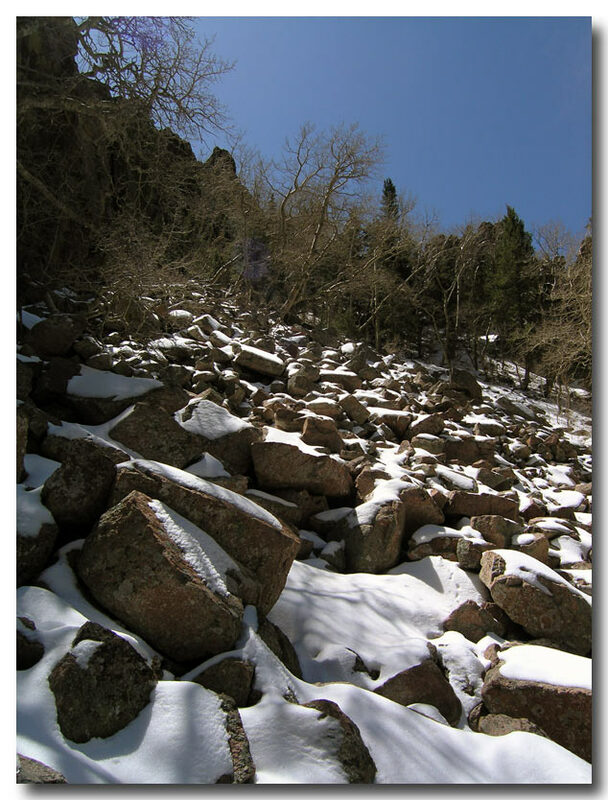 I for one hate the rock slides and their brutally uneven surfaces, but I can say that a foot or snow or more does tend to even out the hiking experience. There was absolutely no snow on the trail until just feet before the metal sign that marks 5 miles from the trail-head. Last year at this time the sign was buried up to it’s flat surface, and this year, there was not a flake on the ground next to it. 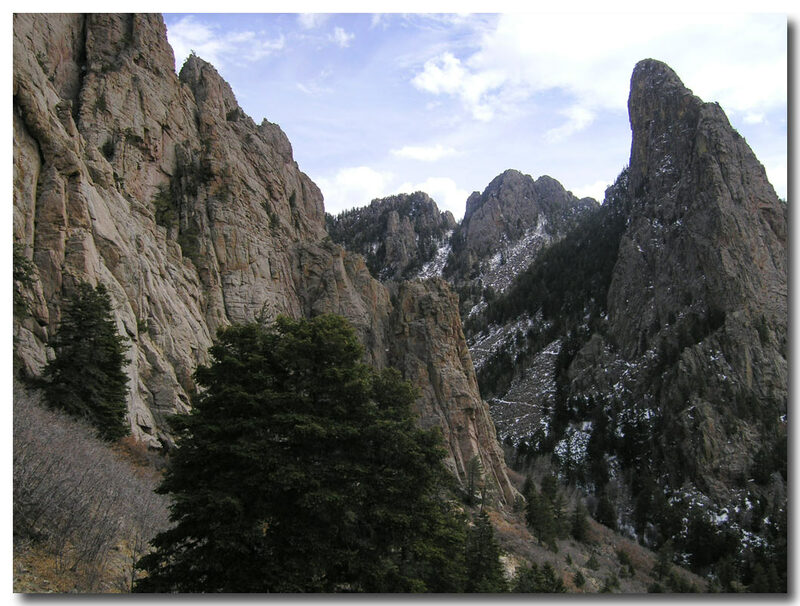 Generally in the winter, there is only one route up the canyon and it does not include the switchbacks. 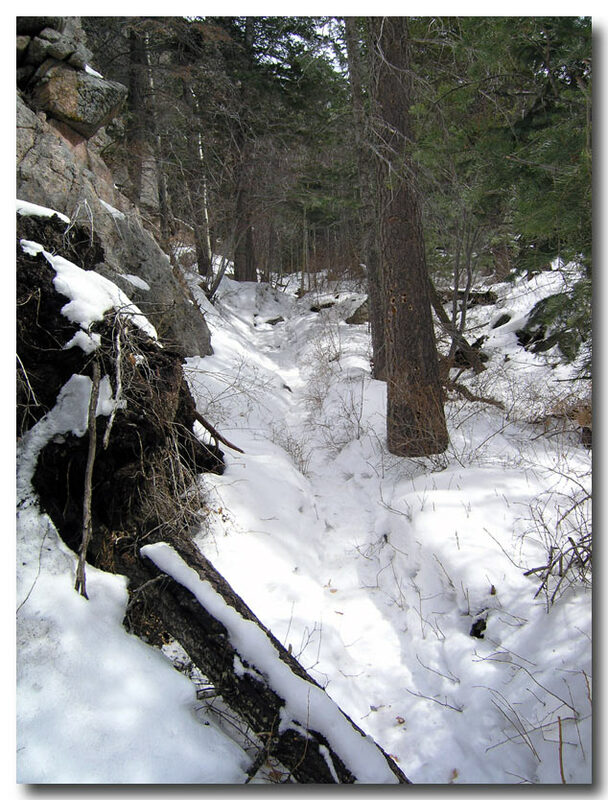 Known as the old LaLuz trail, you could also call it the snow trail during the winter months. Winter climbers know the route and don’t need any extra slogging through deep snow. This shot was taken just 5 minutes or so east of the 5 mile marker and shows a well defined trail, icy with only three to four inches of snow on the ground. Near the top where the snow trail merges with the main trail there were sections that had no snow at all. Just past where this photo was taken the snow trail passes just to the north of the main trail and I took a panorama shot to show the condition of the switchback trail. 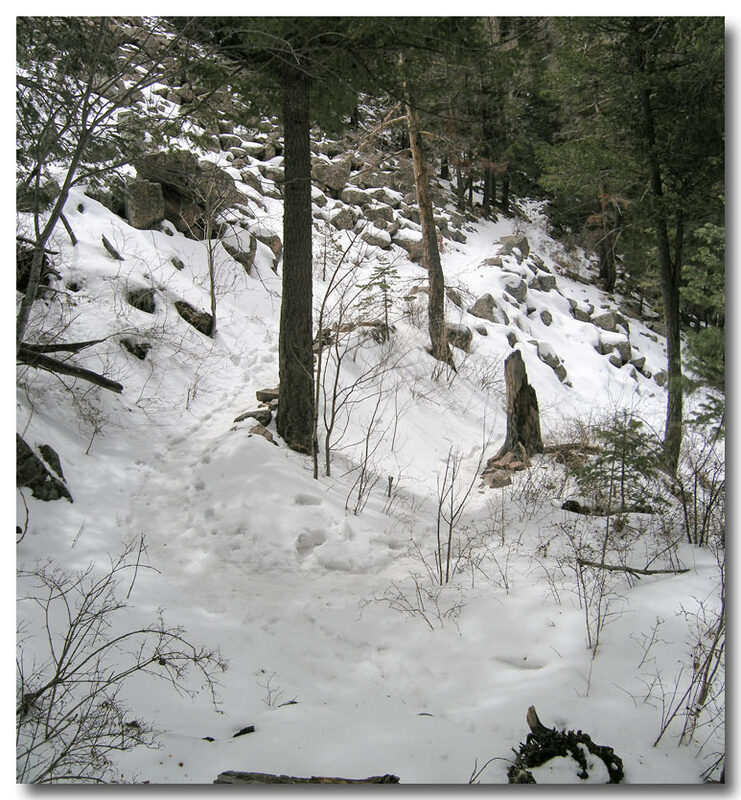 As you can see, there is very little snow to contend with, but if you do decide to hike this section of the trail, I recommend that you use spikes on your feet, because the snow is very very slick and icy in many places. Once the trails merged I was unhappy to see that the rocks were still too covered with snow to boulder up the field, so across the switchbacks I went. This panorama is from the point where the snow trail merges with the main. 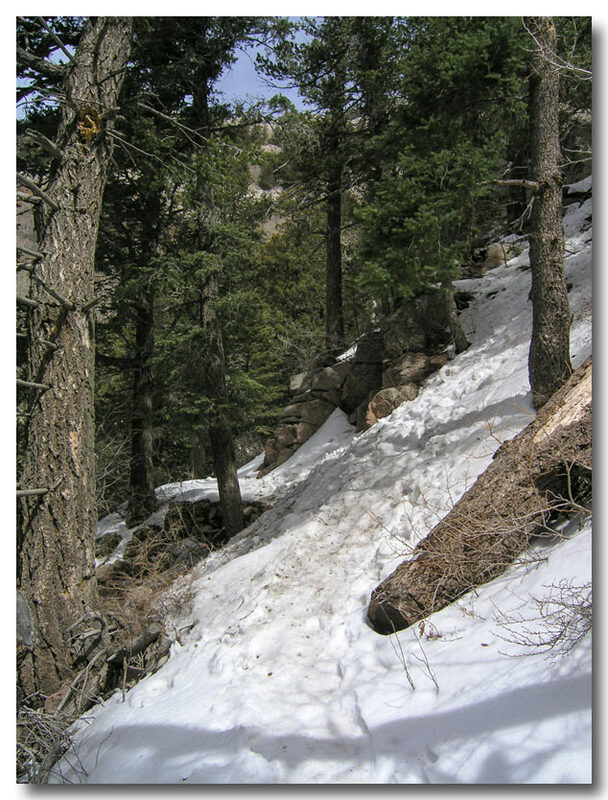 I’m including one more image to show that yes, there are still portions of the trail that are covered with significant snowfall, but they are not nearly as treacherous as I have seen in the past. Remember however, I did this with poles (with snow baskets) and with spikes. The snow was so solid here that I did not need Gators, but I suspect in another week or two there will be places on the trail that you may dig some deep post holes. 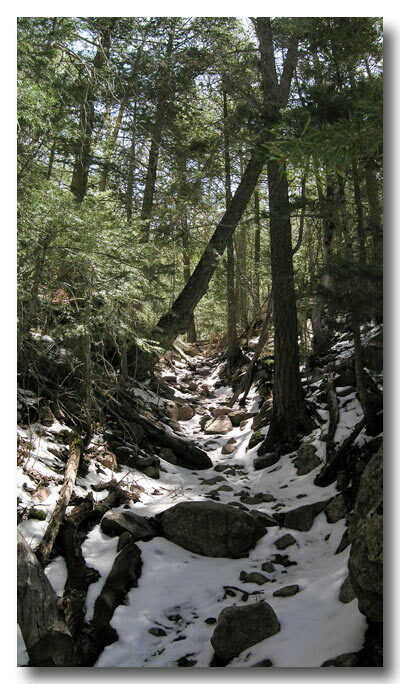 Once the trail reached the limestone, there was sufficient sun to have blasted away almost all of the snow. The very last switchback to the saddle was snow covered for the very last shaded portion, but for the most part, it was clear. From the saddle to the tram I was pleased to find that the majority of the trail was completely clear. Every east / west exposure was basically clear, and the north / south exposures were somewhat snow covered. I was able to navigate this stretch without spikes, although there were portions of the trail that were significantly muddy. Since some of the most dangerous winter slopes are on this section of the trail, I was very happy to complete the trip without worrying about sliding off the mountain. For myself, I declare the La Luz hiking season officially open. It’s time to start using that tram pass and I’d like to get my time down to below three hours if possible. The quote was attributed to John Ruskin, but the source I was using, like so many others, only gave a name and no other information. This particular source, Edge-tools of speech (free ebook) was published in 1899 and as such is should be free of some of the common attribution issues that infect the web today. I don’t really remember when it happened, but I do remember that I began to question the sources of my quotes some time within the last several years. I then started on a quest to only post things that I could actually verify, and absent total verification , I could at least point to the fact that it was “quoted in” this or that collection. Today however, attribution of a quote to this person or that circulates as fast as someone can do a copy and paste. What surprises me is how many times I’ve worked on finding a source only to note that the number one google hit for that particular quote has it 100 percent wrong! So now I check my sources and search away before anything gets added to the quote library. Additionally, each time I add a new quote I spend sometimes up to an hour or so trying to verify older quotes in the collection. But back to the quote at hand, when searching, John Ruskin is always attributed as the author. By the time you get down to the fourth listing on a Google search you can purchase a coffee mug from Zazzle with these words pasted on the cup. Sometimes you can see a phrase and look at the supposed author and say to yourself, “Mark Twain would never have used those words,” and other times you look at the author’s date of birth and get a general feel of authenticity for the period, even if it’s a translation. I had no feelings about this particular quote and was searching only to try and find a source that would tell me where these words were memorialized. Generally the first step in that process is to expand the search by clicking on the drop down link and look under Books and then start searching through various book pages that might contain the words or the quote I am looking for, or a footnote that identifies the source. In the Books category, in the second reference listed, Eliza Cook’s Journal (October 1849) the quote is published in a section titled “God in Nature” but curiously enough, there is no author attributed. That seemed strange, since I had seen a wide attribution to John Ruskin. Born in 1819, he would have been 30 years old in 1849 so we know that the period is right. Time to keep clicking and searching. By the time we get to the fifth entry the quote appears again, only to have the author of the piece claim “I know not the author.” Great. Keep searching. Several more times the quote is attributed to Ruskin, until we get to the next to the last entry on the first page. All of a sudden things change, and the quote and the context is titled: Religion by J. G. Whittier. In a way, this is kind of exciting. Did I stumble on something that a whole lot of people have missed for over a hundred years, including the great Bartlett’s Quotations? So who is J. G. Whittier anyway? Turns out that he is also from the period, born John Greenleaf Whittier, a famous Quaker poet. Checking the date of the publication of this edition of the Boston Literary Magazine, 1833 and John Ruskin’s birthday, February 8, 1819, we find that Ruskin would have been only 14 years old at the time the quote fist appears in print. So now we have conflicting evidence that includes a host of collections that attribute the quote to Ruskin and two sources that attribute it to Whittier. How do we make the call? I’ve got no idea how this piece got attributed to Ruskin, but I would like to set the record straight, and give credit where credit is due. We pity the man who has no religion in his heart – no high and irresistible yearning after a better and holier existence; who is contented with the sensuality and grossness of earth; whose spirit never revolts at the darkness of its prison house, nor exults at the thought of its final emancipation. We pity him, for he affords no evidence of his high origin – no manifestation of that intellectual prerogative, which renders man the delegated lord of the visible creation. He can rank no higher than the animal nature; the spiritual could never stoop so lowly. To seek for beastly excitements – to minister with a bountiful hand to praved and strong appetites – are attributes of the animal alone. To limit our hopes and aspirations to this world, is like remaining forever in the place of our birth, without ever lifting the veil of the visible horizon which bent over our infancy. There is religion in everything around us — a calm and holy religion in the unbreathing things of nature, which man would do well to imitate. It is a meek and blessed influence, stealing in, as it were, unawares upon the heart. It comes quietly and without excitement. It does not rouse up the passions; it is untrammeled by the creeds, and unshadowed by the superstitions of men. It is fresh from the hands of its author, and glowing from the immediate presence of the Great Spirit which pervades and quickens it. It is written on the arched sky. It looks out from every star. It is on the sailing cloud, and in the invisible wind. It is among the hills and valleys of earth – where the shrubless mountain top pierces the thin atmosphere of eternal winter – or where the mighty forest fluctuates before the strong wind, with its dark wave of green foliage. It is spread out like a legible language upon the broad face of the unsleeping ocean. It is the poetry of nature. It is this which uplifts the spirit within us until it is strong enough to overlook the shadows of our place of probation; —which breaks, link after link, the chain that binds us to materiality, and which opens to our imagination a world of spiritual beauty and holiness. Behind the scenes there has been a great deal of activity here on my website over the last month. Once I got my renewal letter from my hosting provider I finally decided to make a major change and move all my files to a new host, Bluehost. I had been with my previous provider for over 7 years but learned over the last several that there were some performance issues with their servers in general, or the server on which they had parked my site. So I made the switch and have been very happy, for the most part, with the experience. But here’s what I discovered. The movement of thousands of photographs means that a whole bunch of electrons had to fly through space and be reassembled on the new site and on occasion, something in that process went very wrong. The total amount of files affected was probably in the range of 1 or 2 percent, but when you are moving thousands and thousands of files. that means a whole bunch of corruption. I’ve spent a day or two having to download all the files from the web to a folder that I could then examine, find and identify the corrupted files and then delete them and upload backup files in their place. I tried doing a simple over-write but sometimes the corruption just wouldn’t go away. As with lots of things in life this experience has come with good news and bad news. The good news is that I’ve had a chance to look over lots of images and the total organization of the site, and I have come up with some design changes that will be implemented soon. There was a lot of that, and hopefully some of that will be remedied in the future, because the photos do jog the memories. But for now, my conclusion is that I’m keeping out of transporters. They may work on TV, but I’ve got the evidence that they just are not up to par yet in real life. I will say however, that the staff at Bluehost has been the MOST helpful in working through the issues of migrating multiple databases and all of my prior stats. I could not be more pleased with their assistance. After a long week of bouncing between Omaha and Phoenix, I was able to hit the trails again on Saturday and Sunday. At this time of year most of the photo opportunities on the lower mountain are long gone, as just about all of the flowers have bit the dust. 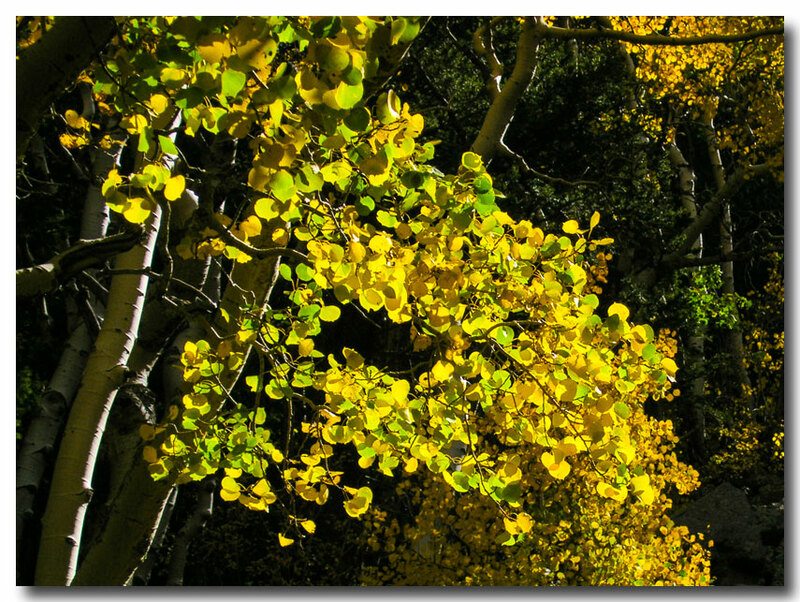 But just above the 9,000 foot level the aspens were turning out in full color, while those at the 10,000 foot level have lost almost all of their leaves. 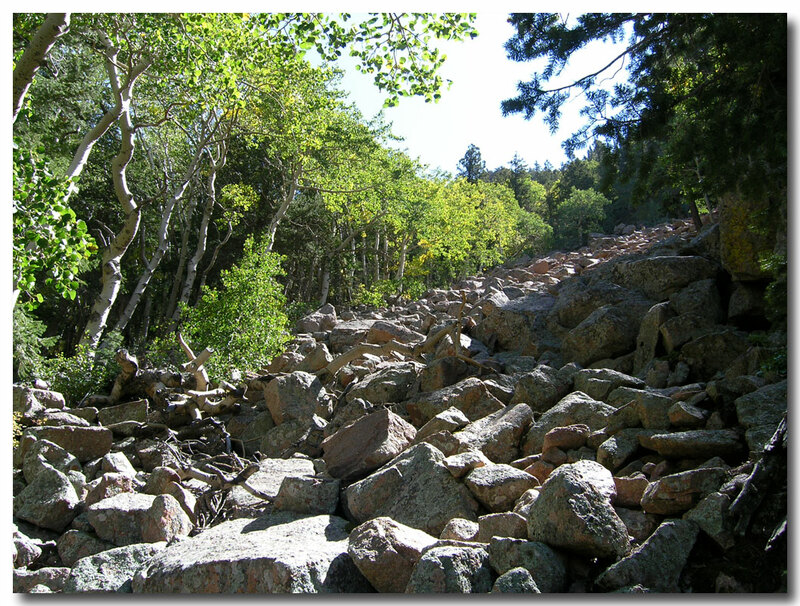 This is the section of the trail that I’ve written about before, about hiking among the debris. I confess, I love these few weeks of blue sky and shades of green and yellow. What’s really amazing is how the movement of the sun has caused major portions of the upper trail to be shadowed from now until the middle of spring. It’s also at these levels that the rock begins to chill and begins to affect the temperature of the valley. 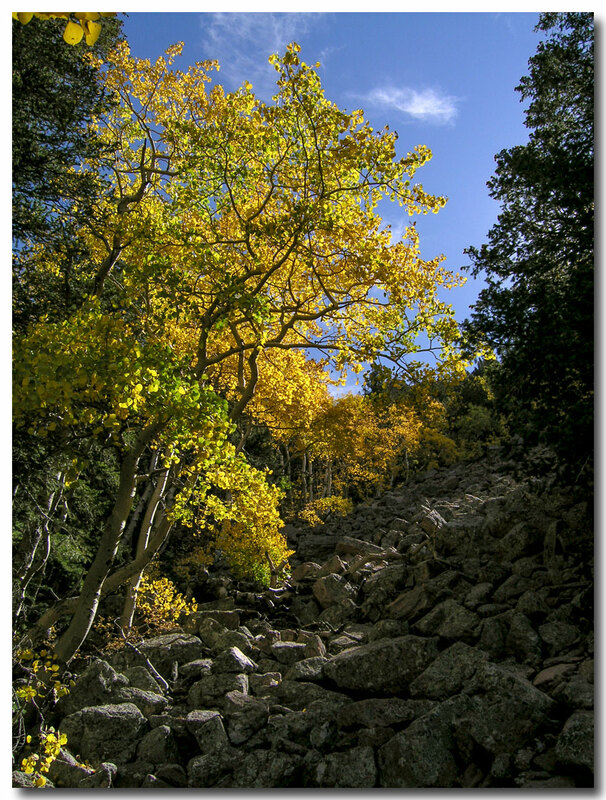 Once I came upon the upper reaches of the boulder fields the trees were simply magnificent. Next you can see the rock fall over which I generally scramble, even though there is a trail that winds its way through a series of switchbacks. This next shot was taken just a day later with a little different lighting. This series of rocks is just below the part of the trail where it levels off and heads on an easterly direction over to the tram. Once I got to the saddle and started onto the flat section I decided that my time on the trail was not that important and that it was time to just chill out on a section of the mountain that we call table rock. The table top rock formation is about 200 to 300 feet off of the main trail and involves a scramble down and then back up again to get on the flat part of the rock. I went out there and just sat in the sunshine basking in the fall colors. From there I shot the panorama that covers the view directly north and then to the east. You can see the full sized panorama here. The trail across the slope lies across the middle of the image. 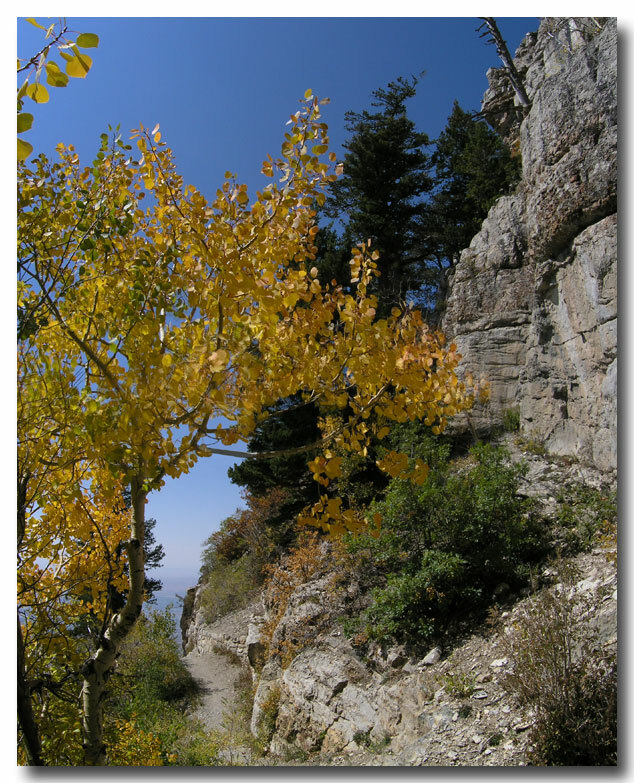 One has to climb up over the rock wall in the foreground to get back onto the trail from the table rock. Finally, the in the last half mile of the trail the aspen have just about lost all of their leaves with some patches of yellow left along the trail. I’ve got a bit of updating to do now that we are back from hiking in Europe. However, first chance I got I headed on up to do the summit this Saturday. Granted, it took me quite a while to get going, but I was determined to make it on up, especially since there was no possibility of rain. I took my time primarily because I was looking for some misplaced materials but also because I knew that the morning would be quite chilly. The only problem with that thinking was that by 1:00 in the afternoon, the summit in the sun was quite warm. The trail was dry, bone dry and there was just about no sign of any color anywhere, at least not in the way of wildflowers. I think that we didn’t get a drop of rain the entire time we were gone, plus I know that we have had none in the last week. 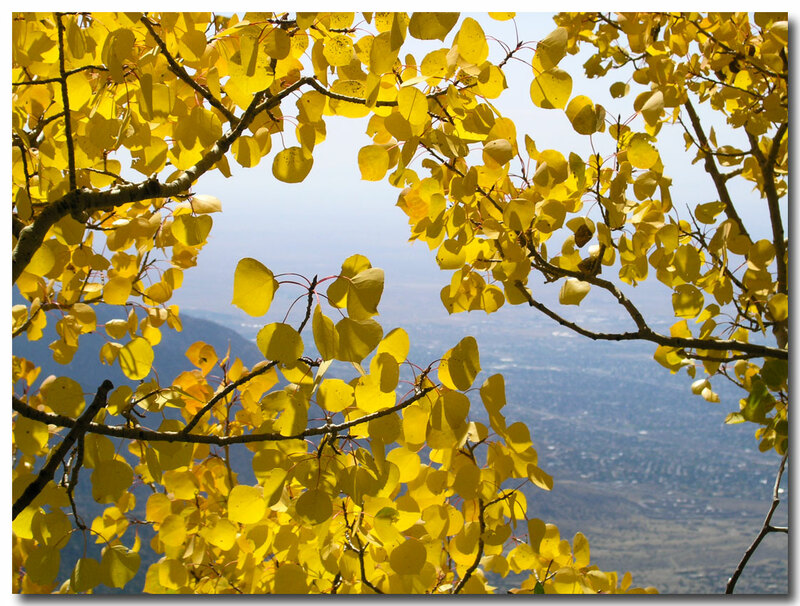 But after crossing over about 9,000 feet I came out on the view of the upper slopes and could see that some of the aspen had broken out into glorious gold. I love hiking this time of year, especially in the western Rockies. 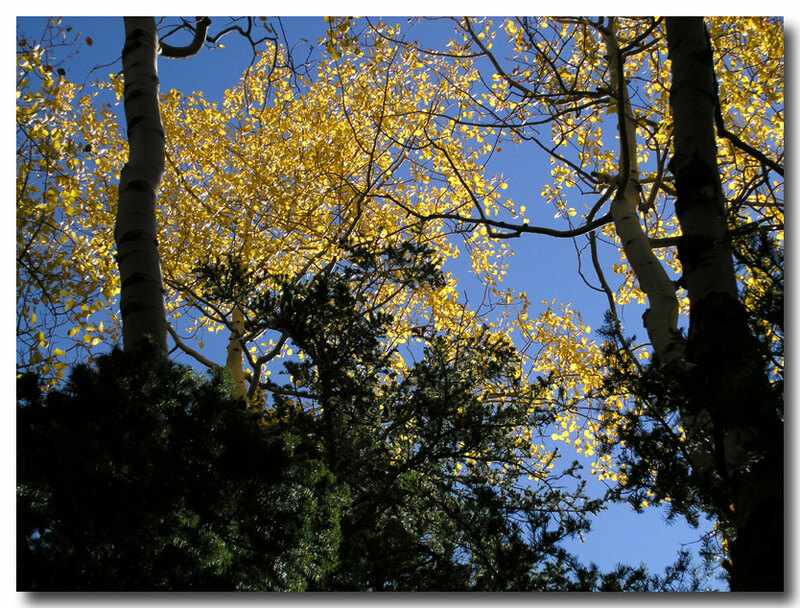 In the right light (back-light) the aspen often look like they have been plugged into a Christmas tree and light up their surroundings. Since I took the high ridge route up, I was unable to see the color in the lower groves, but I am pretty sure that they will be in peak form in the next week or two. This stretch of aspen that line the boulder field about 9,500 feet have not yet changed colors, even though they are surrounded in spots by those that have. This is the same slope that I photographed back in March, only from this angle you can see the aspens on the north side of the boulders. The spring image shows the ones that are on the south looking down from several hundred up the boulder field. 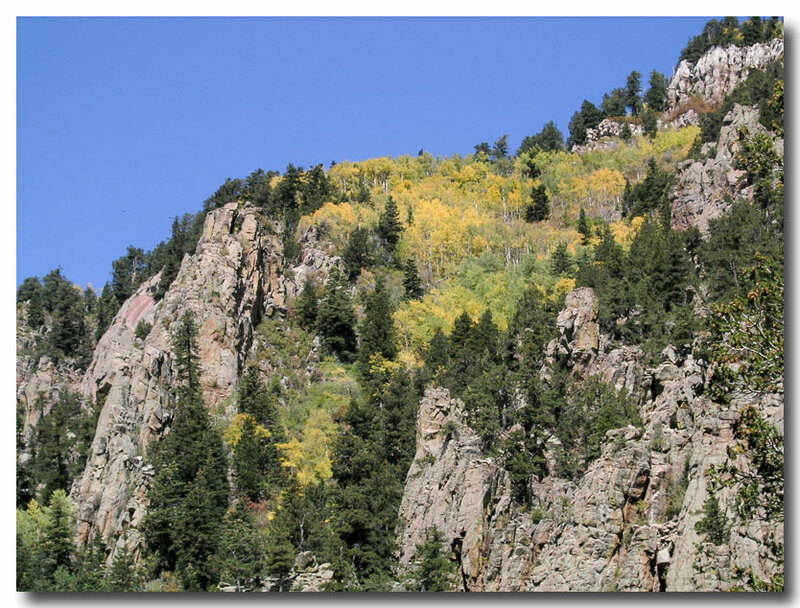 Turning to the north, and looking at the summit ridge, you can see that the trees at 10,000 feet and above have indeed reached almost the peak of their color. 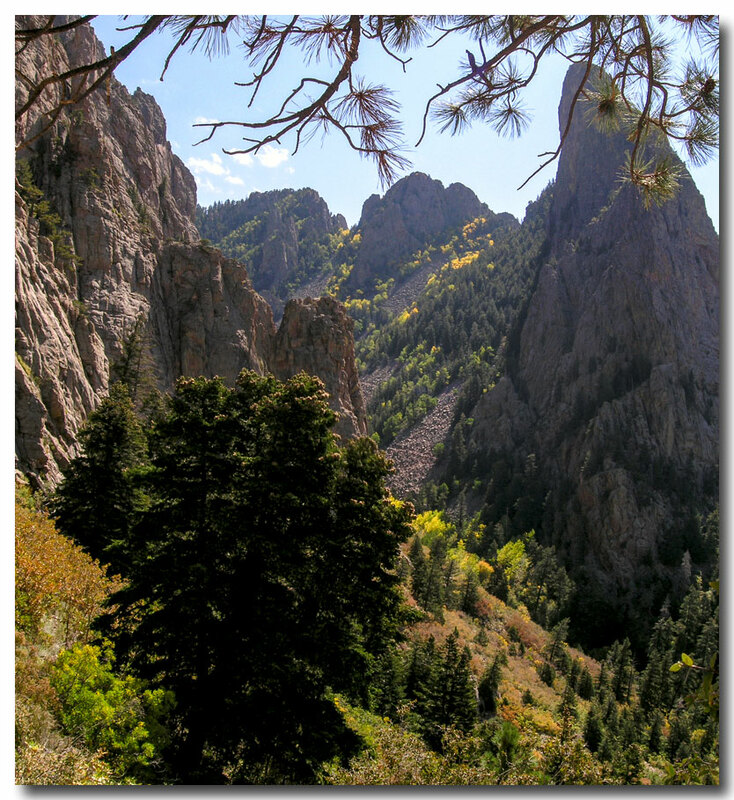 I know that section of trees very well for part of the upper trail overlooks that section of the mountain. At the maximum that grove may last two weeks before most of the leaves are gone. 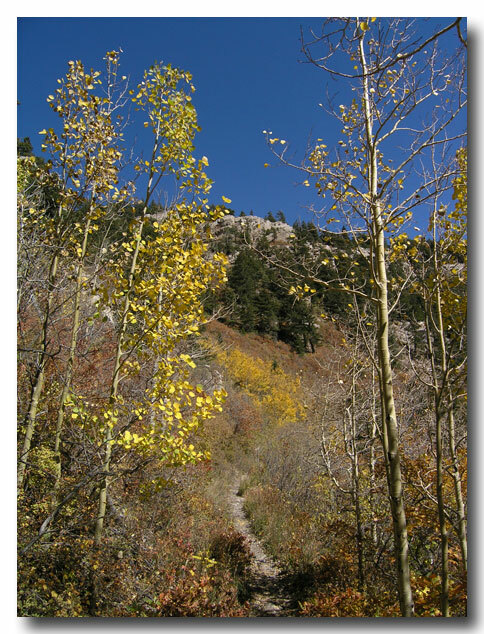 Once I reached the level path to the tram at 10,000 feet I encountered several different patches of trail with trees in full color. Although we don’t get the blazing reds and bright oranges of the northwest, we also don’t get all their rain, so I suppose I’ll trade the reds for the rain. 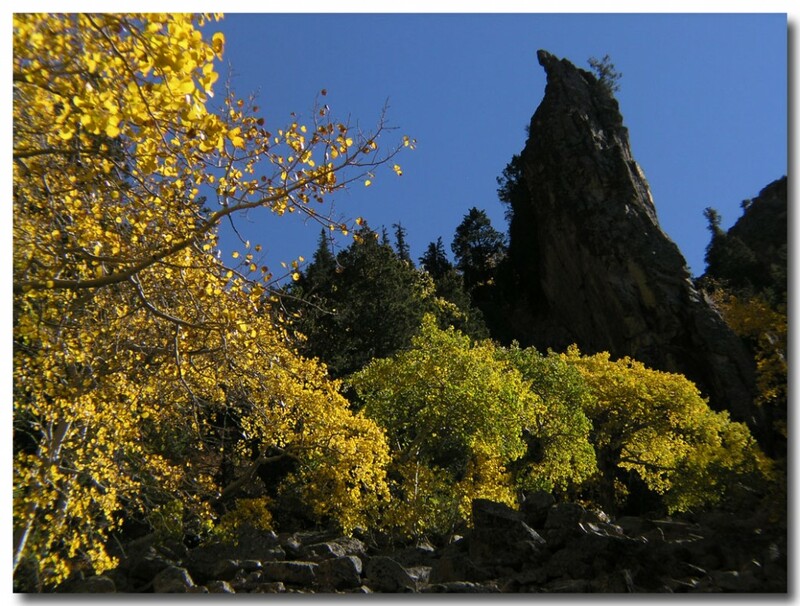 The colors don’t last long here, especially at the top of the mountain. Enjoy them while you can. 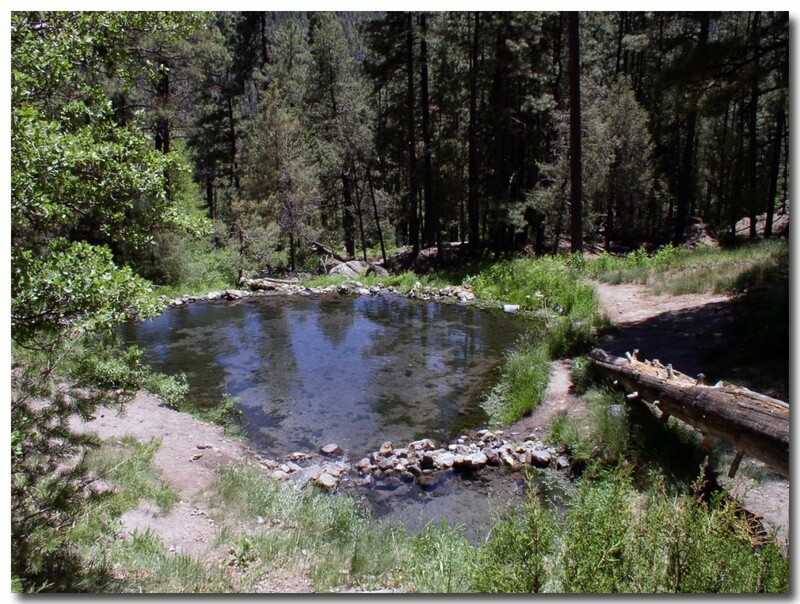 I’ve gotten a bit tired of doing the mountain over and over again so for this morning I suggested to the Mrs. that we head on out to one of her favorite spots, the warm springs in the Jemez mountains. 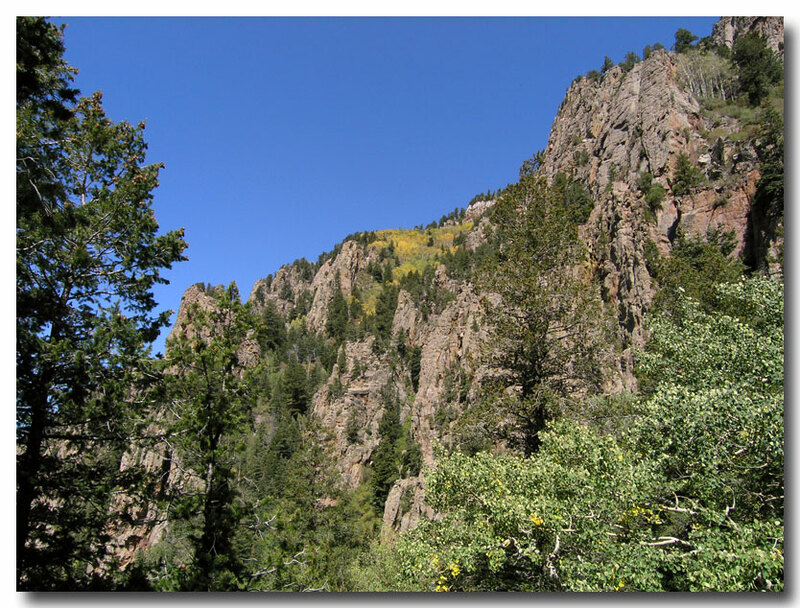 The ride to and through the Jemez is one of our favorites, and especially when you leave early in the morning and can put the top down on the Mustang. The route out to the springs crosses the desert and enters a canyon that is the closest thing that New Mexico has to Sedona, Arizona. Red rock abounds, along with towering cliffs and sandstone carved mountains. 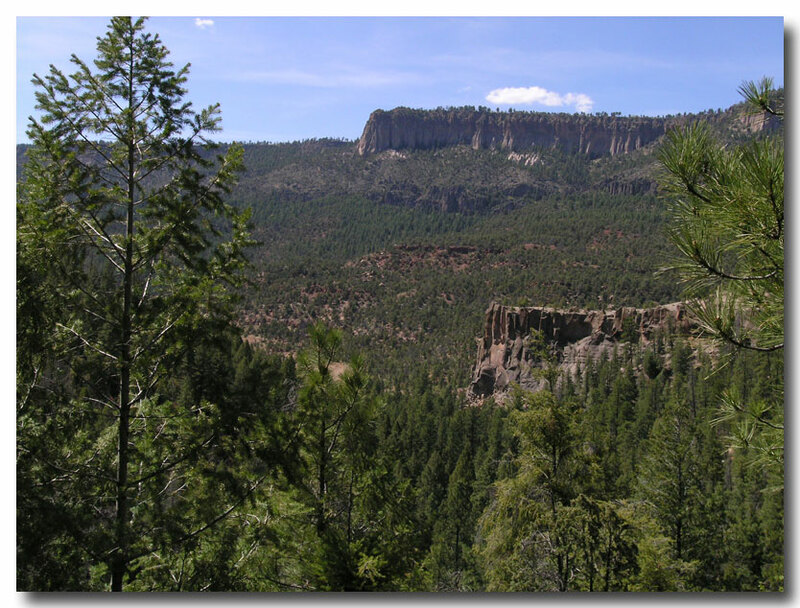 The trail starts at a place named battleship rock, which you can see in the foreground. 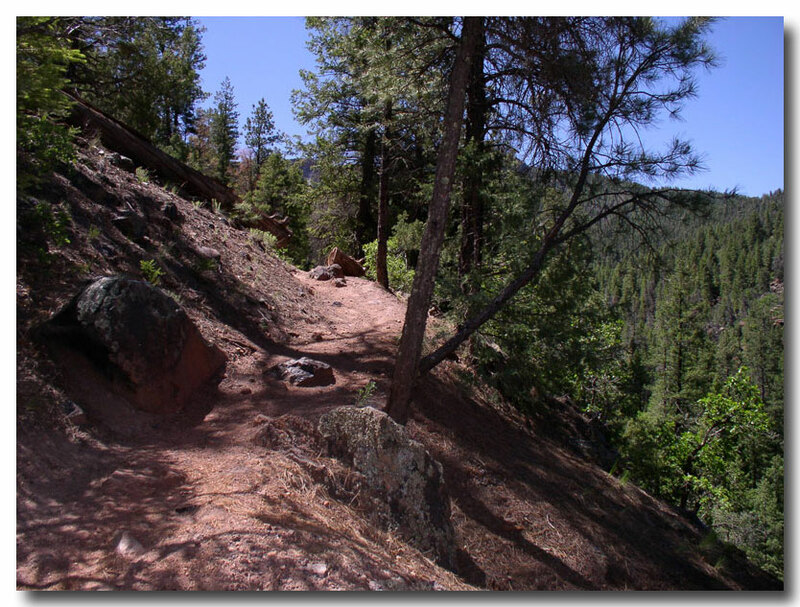 It’s not a difficult hike, and it wanders along the river for a while and climbs up through giant ponderosa pines until you reach the warm spring about 1.8 miles up the trail. Unlike some of the other springs in the area, this is not a hot spring, but a warm one with water temp about 85 degrees, which is great in the summer, but downright chilly in the the winter. We spent a little over an hour here, just soaking in the sun and watched the dragonflys dance. The small pool at the bottom of the picture is the source and it’s big enough for four or five adults. The large pool is very shallow but it empties into a series of other pools below. Depending on how hot it is, the lower pools offer cooler water. Our view from the “source” pool. You can click on it to enlarge, or click here for a full sized panorama. This years’s image includes a bush in the middle of the dam which I suspect may not last. It wasn’t there a couple of years ago and people keep moving the rock wall which may just let it get washed away. This is considered a “warm” spring and recently I saw someone google whether or not snakes went into hot springs in New Mexico. I can tell you that we do see snakes, small ones, slither across the water from time to time. They are more afraid of you than you probably are of them. 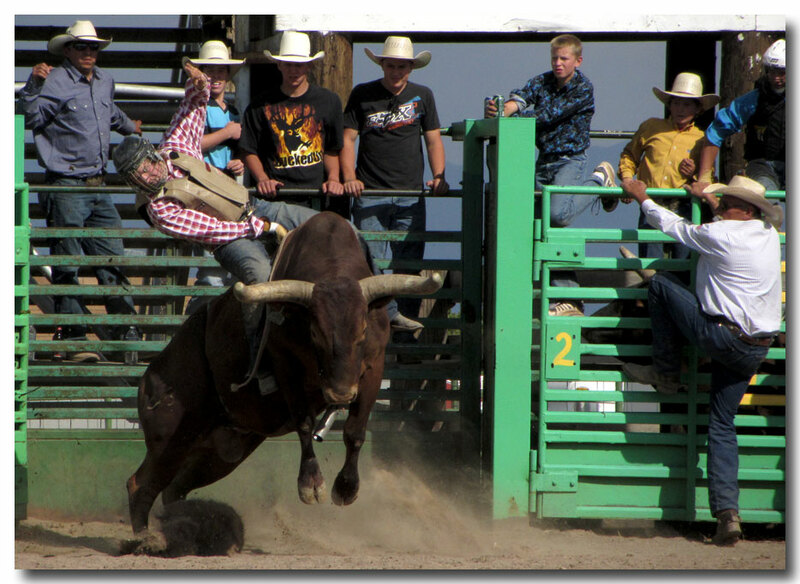 On our way out we stopped in Los Alamos and caught the tail end of the rodeo. These are the teen riders, you can tell because they have to wear a helmet. We drove on into Santa Fe for dinner and then did a top down cruise through the back roads home. We were on the road for just a little over 12 hours, start to finish and wandered through over 200 miles of New Mexico back roads. My first I-anything, and I bought it for? Yes – you can read it – BAR REVIEW. Last weekend we had a “tax holiday” on school supplies here in New Mexico. So there was no sales tax on computers, and the like up to $1,000.00 for computers or tablets, and an additional $500 for accessories. And I just couldn’t help myself so I “saved” seventy dollars in taxes and spent $963.00 on the Ipad, a cover, and a two year “drop it and we replace it” warranty. All for what? Bar Review? All I really needed to do is walk into a bar, sit down, have a drink and then write a review, right? Well, it doesn’t work that way if you want to be admitted to practice law in another state. The way they have it all sewn up in this country is that you have to pass the bar all over again, and again and again, which keeps people’s jobs pretty safe when you think about it. That test is really not that easy, and once you are settled in, who wants to take it all over again. I decided some time back in June that my plan for the next 7 months or so would be to start to study for the Arizona Bar and then take it in February of 2013. You see, Arizona has a very special feature with their jurisdiction (other than 2 of my children and all of my grand children live there). 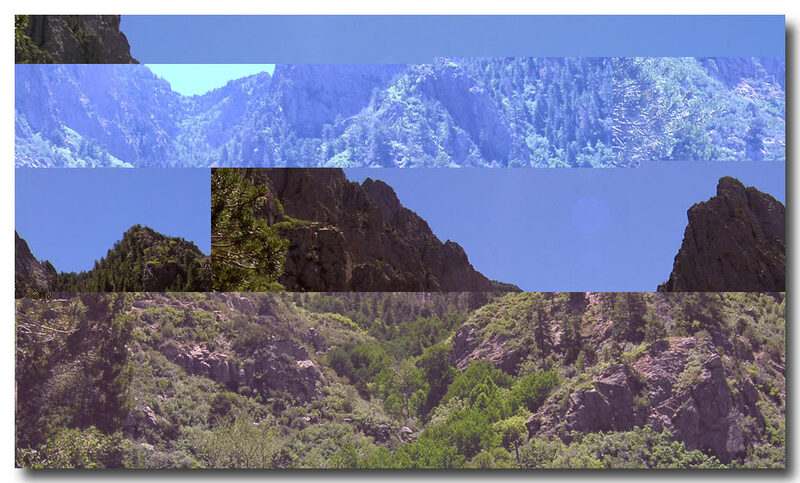 If you practice law in Arizona for 5 years, then you have reciprocity with 29 other jurisdictions,which means that you can practice law all over the country practically. I like having my options open. 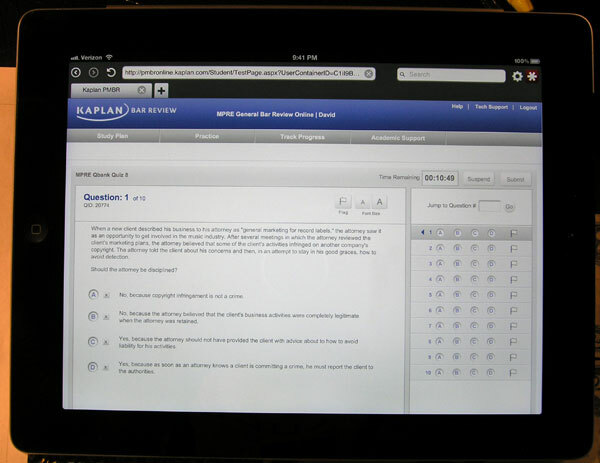 Enter the Ipad – with it’s data connection that will allow me to study when I’m on the road, in hotels, waiting in airports, and occasionally on airplanes, without having to lug out a massive computer that won’t open up in a cramped airplane seat anyway. And today was the official start of it all. At 9:00am I entered a big room with my number 2 pencils and began to take the preliminary test that I need finished before I can be admitted to the Arizona Bar. That test is the Ethics exam, which although I took it and passed it 5 years ago today, is not “current” enough for the state of Arizona. Since the test can only be 2 years old, I had to sign up again. After taking the test today all I could do is exactly as I did last time, think to my self, “what just happened.” It was amazing how the test questions were, for the most part, nothing like what I had studied. The fine line distinctions were impossible. My only hope is that the curve will save me. In 5 weeks or so, I will know. At least if I have to take this one again I already have a different study plan worked out. Today I got a bit of a late start today, and seeing how I did not work out at all during the week I figured that I’d be way behind today. The fact of the matter is that I was making pretty good time until just after an hour into the hike I had to make a big STOP. Here, you can see it in the image below which is a log of my heart rate on the climb. There it is, the second big plunge in the rate. The first one happens every time because the trail climbs for a bit and then you have a descent when you have a chance to rest very early on the trail. But the second one, I just said to myself, too bad for the time trial, I’m sitting right down here in the trail to take some photos. For a time I guess, this will just have to remain a mystery flower. Found at 7,700 ft on the old Laluz trail. Actually, until I got just below the 10,000 foot level, I didn’t stop to take another photo. But then I saw the first bee and moved on in for a closeup. 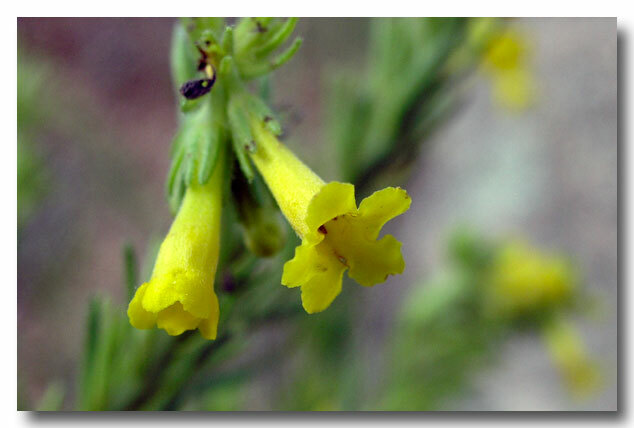 I know this flower, it’s a Fern-leaf Lousewort and with the upper mountain having had sufficient rainfall recently, it was out in abundance. 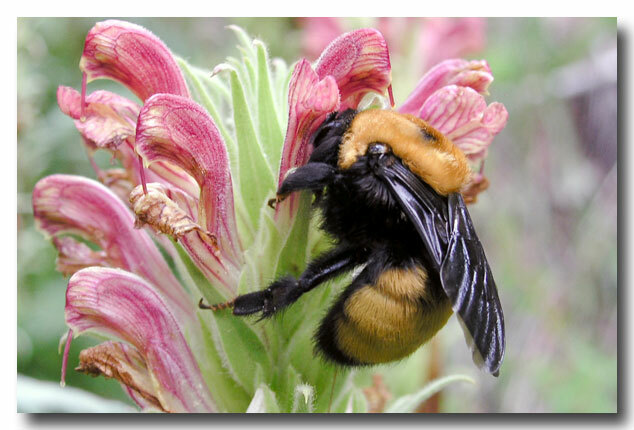 I decided after a couple of attempts, not to push my luck with the bees, and moved along the trail. But, although I was rapidly coming up to a point where I could finish the trail in maybe three hours and 20 minutes, the flower count was overwhelming and I gave up on the idea of a quick finish and settled into photo mode. By the time I was done I had taken over 80 images, a few of which follow. Note the falloff in the heart rate at the end of the hike. 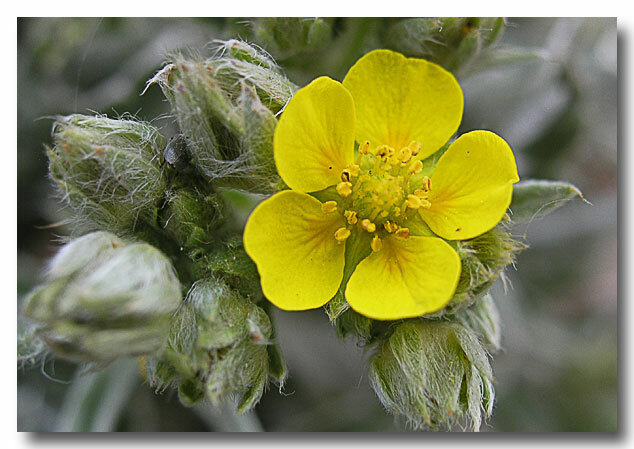 I did learn something about macro photography on this jaunt today. Since my lens will focus very very close, I may need to move away a bit so that I get the whole flower, or whole bug in view. Such is life, you live and learn. Next time I plan to compensate. 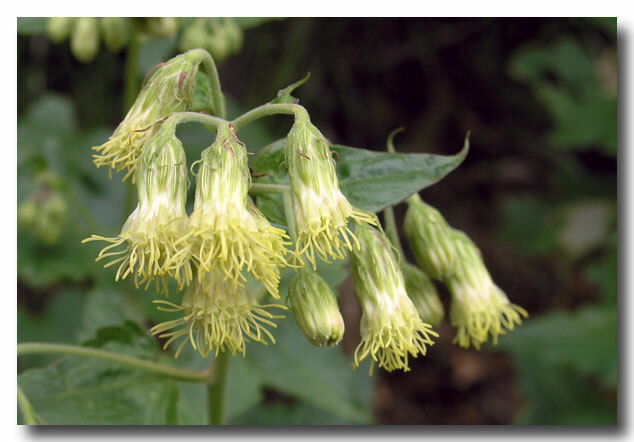 Tassel flower, hard to imagine why it has that name. When the mountain trail ends it meets up with an asphalt trail that runs to the tram station. Just as the trail ended and I started up the steps to the tram, I saw this and had to sit back down and see if I could get a decent shot. 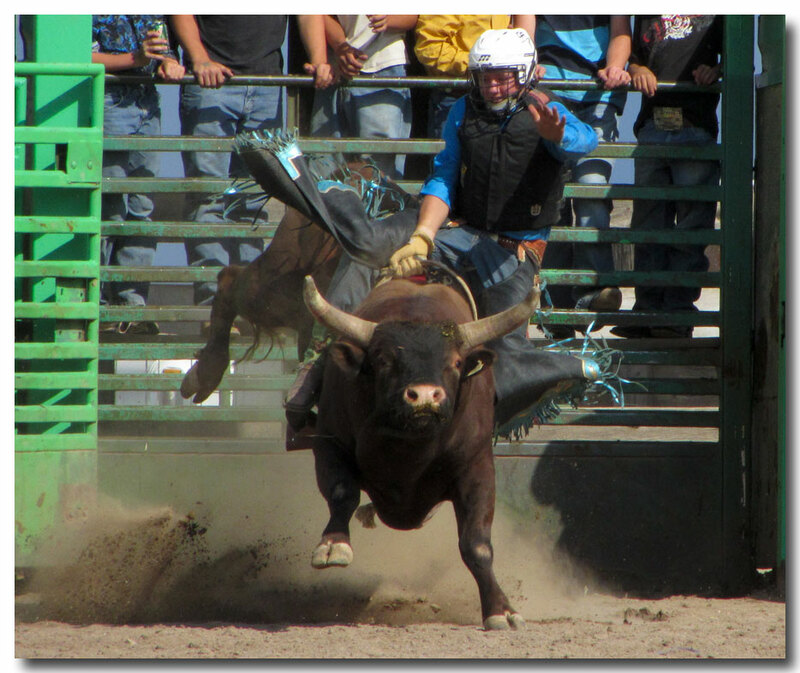 Now that I have finished posting, my left knee is giving be a bit of trouble. Hopefully I’ll be able to hike again tomorrow. If not, I’ve got another project to work on, but that involves study and test taking. 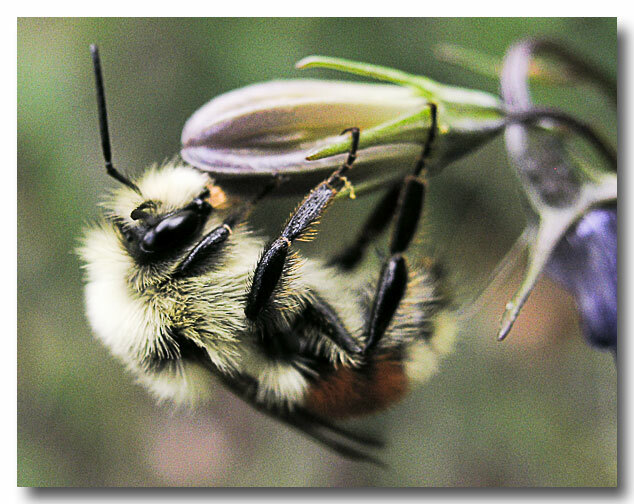 Larger images of the bugs over at the photo blog.